The Group is comprised of 4208 Films – our in-house film and web production company, and 4208 Media – our in-house podcast production company. Our goal is to, independently, produce work that focuses on unique storytelling, engages audiences in thought-provoking dialogue, and shares a fresh perspective of life on the fringe. A seven episode web series about the guests staying at a swanky downtown D.C. hotel. Each episode features a different cast and different theme. Written & Directed by Rahima R. Rice, the Room 513 cast features actors and music from D.C. area artists. A docu-series on visual artists, local to Washington, D.C. The viewer is brought into their artistic world through the artists own vision. 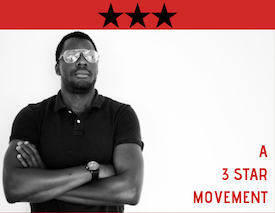 Episode One features David Ibata. A dramatic short film about a hapless street performer who deceptively lures lovers to a fatal end. The film premiered at the 2014 Reel Independent Film Extravaganza. It stars Breeze Bennett and Shauntice Wyatt. 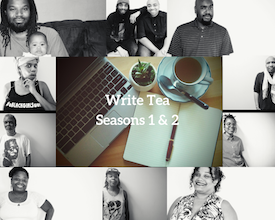 A podcast that features two seasons of interviews with writers from the D.C. Over hot cups of tea, host Rahima R. Rice, interviewed poets, novelists,MC’s, playwrights and screenwriters.